Each of us faces obstacles and challenges in our life, and sometimes a little support can go a long way in helping us to successfully manage those difficulties. 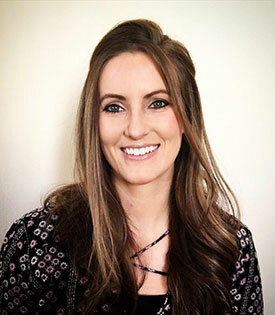 Allison DeSantis, LCPC, is a graduate of Adler School of Professional Psychology, where she received her master’s degree in counseling and art therapy. She works with children, adolescents, and adults in individual, couples, and family therapy sessions. Allison specializes in working in grief/loss work, depression/anxiety, self-esteem issues, Christian Counseling (when specifically requested), and art therapy. She also has experience working with at risk adolescents focusing therapy on anger management, impulsivity, emotional regulation skills, interpersonal skills, and identity development. She enjoys working with clients towards restoration of past hurts and struggles while also developing healthy coping skills to build resiliency in all areas of their life. Allison believes in a collaborative and active approach to the therapy process, utilizing cognitive behavioral therapy and psychodynamic methods with a person-centered approach with her clients based on their needs and goals for therapy. Allison approaches individuals from a whole-person perspective: examining their past and present situations and taking into account how these are affecting their emotional, physical, social, and spiritual dimensions in their lives. She motivates her clients towards productive communication and healthy boundaries within their relationships. Allison’s ability to connect with people empowers and encourages her clients to resolve conflict and move toward desired change in their lives. In sessions, Allison offers a safe space for clients to express their feelings, needs, concerns and problems. She understands how stress affects relationships and other areas in life. Allison is passionate about helping individuals know themselves better, to experience both inner- and interpersonal- growth through their brokenness and their strengths. Allison’s attunement towards addressing the core issues beneath the surface of presenting challenges are a central focus in her work with clients. Her kind and compassionate disposition provide the safety and acceptance that is vital to a strong therapeutic relationship. She enjoys involving the creative arts in therapy sessions to allow for both processing and greater self-expression, and has found it useful in the healing process.